Thats dogg with two gees Yo, respect. What is this beer? Nobody knows, its a mystery, you have to decide for yourself! Of course the clues in the name and on the back of the bottle the rambling talk of hops and hop oils and alpha acids and all the things I love about beer. Well my little green canine friend, what lies within? A crystal clear golden beer, thats what! A little white head that manages to keep a ring of white as the brew goes down. Sweet aromas, ahh so sweet, this beer is no dog. Sweet pine, tropical fruits, I wanna say lychees. Am I being a wanker if I say I can smell lychees? Y'know I've only had lychees a few times in my life. Most of my experience comes from lychee liqueur borrowed from my grandparents booze cabinet. Anyway the nose is delicious, sweet and tropical candy flavour goodness. But whats it like to drink. Its damn good. Thats how it is. There's syrup sweet malts balanced nicely with grapefruit bitterness, the bitterness hangs on the breath while the sweetness coats the tongue. Its nicely balanced and never gets cloying or too bitter. Its been a superb beer to linger over. As it warms more of the malt sweetness comes through luckily liberty are damn geniuses because it still seems balanced and I'm enjoying every mouthful. 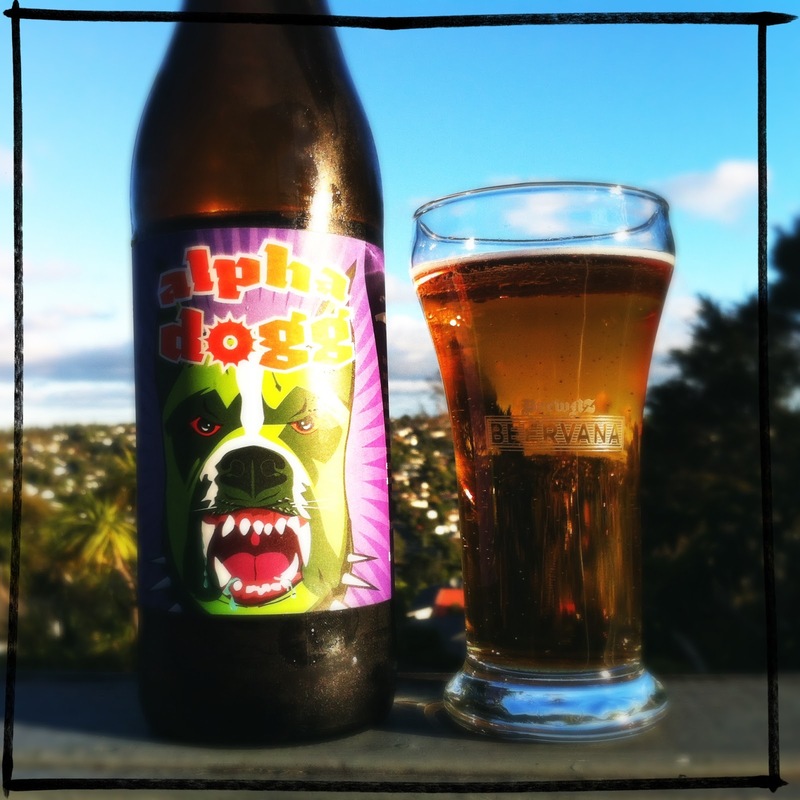 Enjoyed over the evening like a fine bottle of wine, alpha dogg, deceptively named is more like pure bred dog. Very fine, nice lineage.